Dimensions 0.50 by 7.75 by 9.75 in. Free supplements, including PowerPoints and practice quizzes, are available at YourPoliceWrite.com. Instructors can download a free instructors' manual by sending an email from an official account to jreynoldswrite@aol.com. 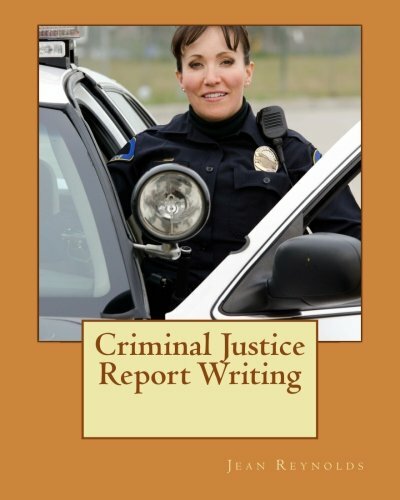 About: Criminal Justice Report Writing offers both recruits and experienced officers a wealth of information about report writing.